The index opened weak and stayed weak for the entire session but closed just above the psychological level of 7800 at 7805.90, loss of 43.90 points. The broader market was negative with 763 advances to 813 declines. Range for the series stays at 7700-8200. Call option 7800-8400 added 27.61 lacs OI with small short covering seen at 7500 and below strike prices. 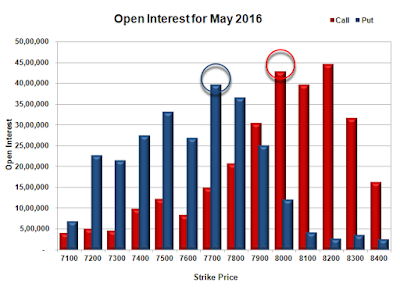 Put option 7600-7100 added 8.10 lacs OI with short covering seen at 7900 and above strike prices. 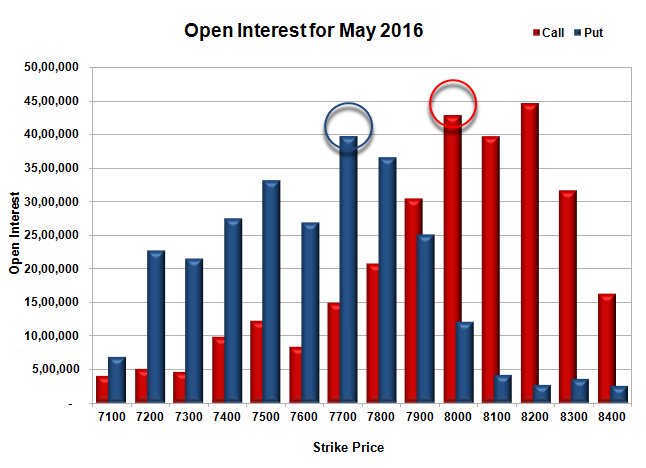 Nifty Open Interest is at 1,98,12,750 down by 8,49,075, with decrease in price, most probably huge long liquidation. 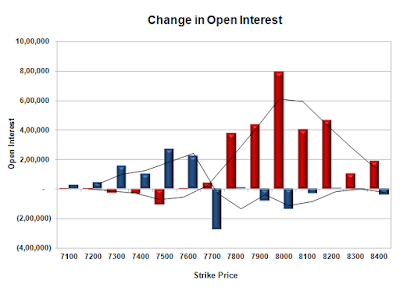 Bank Nifty Open Interest is at 17,80,710 up by 3,900, with decrease in price, most probably short build-up. FII’s sold 23659 contracts of Index Futures, which includes net 16113 contracts long liquidation and 7546 contracts short build-up, with decrease in net OI by 8567 contracts, includes 15485 longs to 39144 shorts for the day. FII’s Index future open contract as on date is 202835 Longs to 84213 Shorts, Net 118622 down by 23659 contracts. 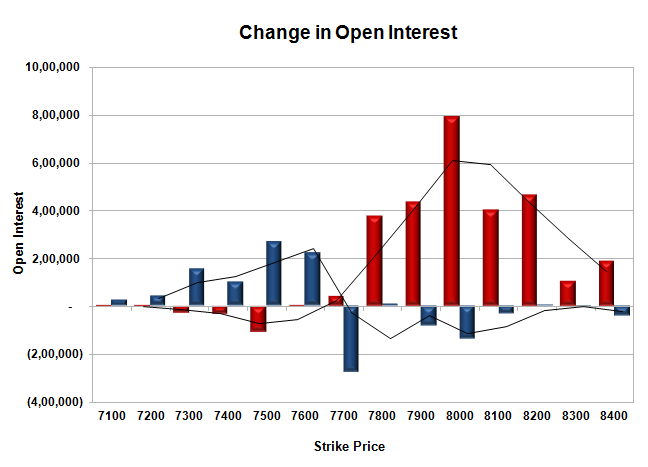 Initial support stays at 7800, with OI of 36.66 lacs and below that at 7700 with OI of 39.71 lacs. Initial resistance at 7900, with OI of 30.40 lacs and above that at 8000 with OI of 42.86 lacs. 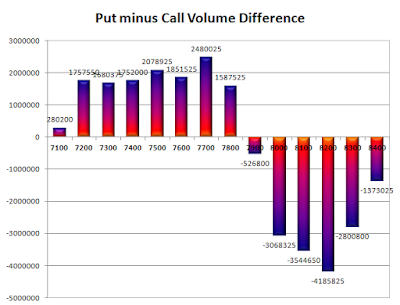 Day Range as per Option Table is 7735 - 7878 and as per VIX is 7736 - 7876 with 7804 as the Pivot.